"A Tale of Two Public School Systems"
A state's key responsibility is the education of its children. From economic progress to health and wellness, from law and order to fiscal responsibility, from social cohesion to participation in the democratic process, education sets the tone for how the society will prosper or fail. We're pleased to offer a new paper by Joe Blankenship. 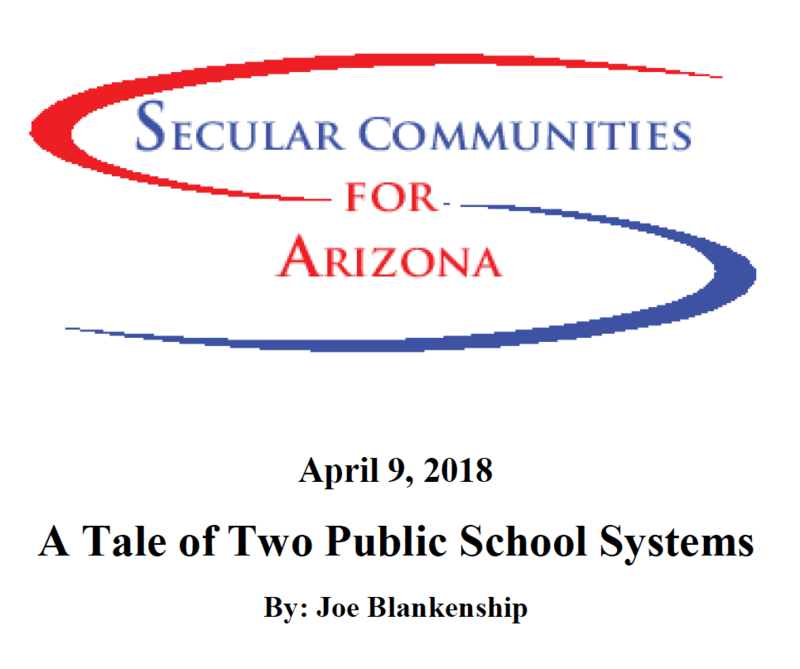 Using the metaphor of Dickens' “A Tale of Two Cities,” the author compares the school systems of Arizona and Massachusetts, analyzing both the “grades" of the systems, comparing the “policy” that produces the grades, and providing a look at the process that has led to the systems' current status. The author draws conclusions as to which state’s leaders value education and take responsibility for providing the environment conducsive to a quality education... and which do not. Read "A Tale of Two Public School Systems" here.